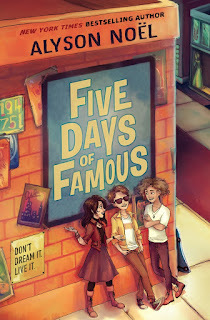 My newest middle grade, FIVE DAYS OF FAMOUS was released last week. Though I've been thrilled with the early reviews, one just crossed my desk that really made my day. It's been a long held dream of mine to see one of my books adapted for the big or small screen, and while I've had 16 books optioned by Hollywood (11 of those are still currently under option and in various stages of pre-production) it hasn't quite happened yet. 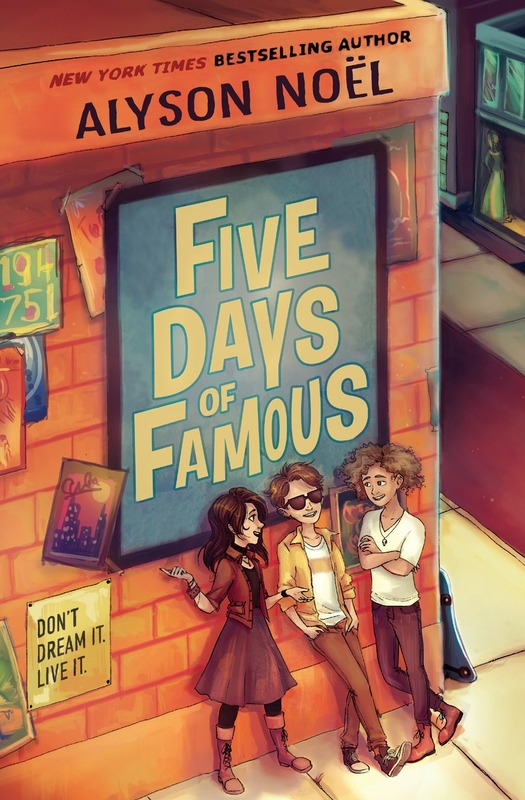 FIVE DAYS OF FAMOUS has not yet been optioned, but with this new review/letter you never know, right? At the very least, an author can dream! "...I know that superhero movies are all the rage right now – and trust me, I will never tire of Captain America – but Noël’s story is a much-needed one, providing an introspective look at the uncertainty that young tweens go through, when they’re trying to balance innate drive and the desire to be liked. You can read the full review online HERE. FIVE DAYS OF FAMOUS takes place over Christmas, and would make a perfect gift for the young person (or young at heart person!) in your life! Wishing you all a warm and wonderful holiday!